There might be an anti-climactic air about this interview with director Brenda Chapman who, a couple hours after speaking to me, would find movie studio Disney rescinding their plans to revise the look of Merida, the main character from the film Brave. Merida is a special character to Chapman, who developed her to be an alternative to a lingering Hollywood trend: the princess syndrome. The classic princesses from the Disney pantheon were mostly products of their time. They were designed to be pretty, svelte to the point of incredulity, be brave when it was called for, but mostly they were waiting for their Prince Charming to charge in, fresh from the fight, to save them. Merida, on the other hand, wants to be in the fight. She has a realistic body type and prefers her wardrobe to be functional. She doesn’t like how the culture of her times is forcing her into the bodice and the role she doesn’t relate to. To say Merida is not feminine is a mistake. She is a modern understanding of what it means to be feminine, in a world where glass ceilings are made to be shattered, not feared and backed away from. And so it was with much anger and disappointment that animation fans, fans who appreciated that Disney and Pixar had the guts to take a chance on a “real” girl in their movie depictions, would then try to reconfigure her for the sake of marketing, with a shoulderless gown; flowing, feathered hair; and that unnaturally thin frame which has vexed young women for decades as an unrealistic ideal. It wasn’t so much that Merida was being sexualized, although there’s a bit of truth to that. It was that Disney seemingly didn’t even see their own movie, didn’t realize that one of the main plot points was Merida rebelling against her parents’ insistence she had to be something other than herself, get a man, and be happy with whatever comes of it. It was that, with this change had it come through, an unspoken message might have been sent to the young girls who saw themselves in Merida — you can be an independent woman and know yourself, but one day you’ll still have to give up, dress up, and play your princess role. You’ll have to do what Merida did. What a sad message to send to girls. But people stood up and rejected the plan. It shows, perhaps, that America is ready for that leap into a mature phase in animation; something that the rest of the world has outpaced us on for decades. Perhaps. Still I think there’s a lesson yet to be learned from my conversation with Brenda Chapman, because as easy as it was for the Mouse House to flip the switch and change the main principles of a now-beloved character, then change back, it would be just as easy to forget this whole thing ever happened. Chapman is an artist in the best sense of the term, because she doesn’t see her creations solely as the means for profit generation. 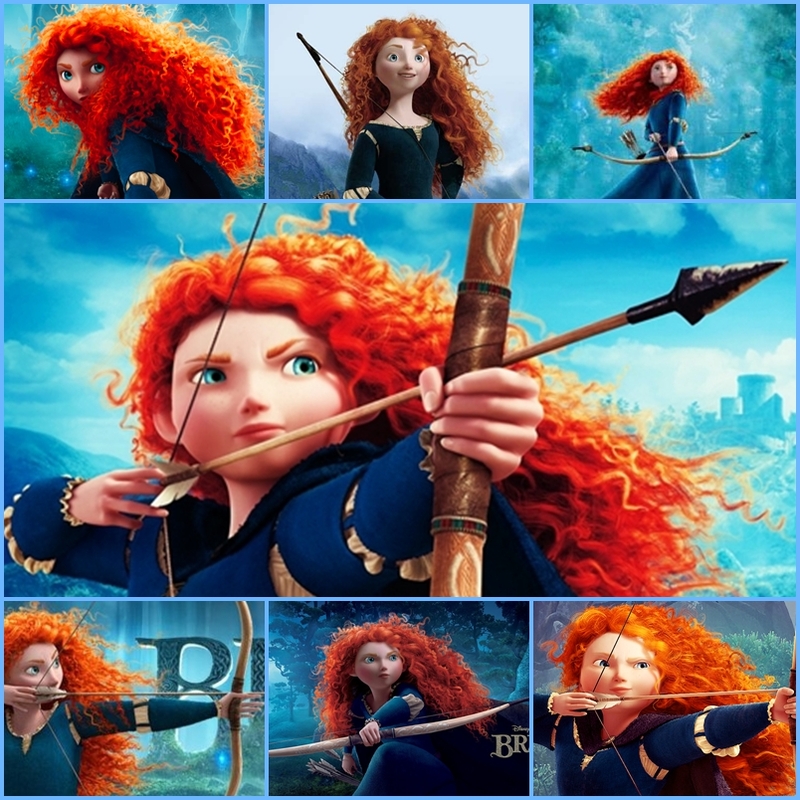 When she speaks of the characters, and specifically of Merida who was the integral part of her original story pitch for the film, they are “they”, realized as beings, with already fleshed-out traits and behaviors. To then find the company that brought the characters to the screen would want to mess with them for the sake of asset optimization was a shocking turnabout for many. Not so much for Chapman who had a clear-eyed understanding of the possibilities, but nonetheless she made her dissatisfaction known. And perhaps surprisingly, a large portion of the audience agreed thoroughly. Popdose: How did you find out the design change had occurred? I have to assume Disney didn’t pass on any indication to you this was going to be announced. 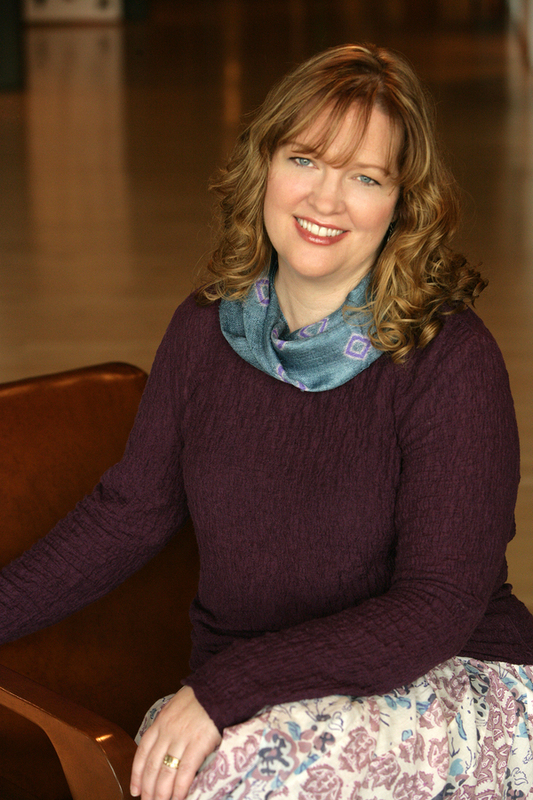 Brenda Chapman: No, I wasn’t brought into any of it! (Laughs.) I actually found out about it from Change.org‘s A Mighty Girl petition. Someone forwarded that to me and I was kind of stunned. I was in Santiago, Chile at the time, speaking at an animation festival down there. That’s how I found out. I was feeling rather helpless and far away, but my local newspaper had my email, so they contacted me. Then, I guess, it went viral! Life hasn’t quite been the same since. Did you have a notion that this sort of change would be pulled after the fact? My pessimism, I suppose, when I was working on (Brave)…Pixar was really pushing, saying, “Let’s make this different. Let’s do this and that, and I was right there. That was my idea and they were very much behind it. But, having worked for Disney before and having seen what they do to their characters in marketing, my production designer and character designers and I (pro-actively) worked to provide the “pretty dresses” and whatever, but those would fit into who Merida was. They could still have the marketable eye candy for the kids and what-not, yet still be true to the character, but they chose to ignore those. I was trying to prepare myself for (the possibility of changes) because I know Disney and I know that’s what they do. I’m not surprised that it happened, but I am really disappointed. It’s just…don’t they understand what they had, and what message you’re sending by changing it? So that’s where I’ve been with this. You have been a part of some challenging projects in the past, one of which was DreamWorks’ daring The Prince Of Egypt. Was that their first film, or was it Antz? It was meant to be the first one, but then there seemed to be a battle between Pixar (with A Bug’s Life) and DreamWorks over who was going to get their ant movie out first, so DreamWorks shifted up Antz. So there seemed to be, at least from the audience’s perspective, a real sense of pushing U.S. animation forward; certainly more than we had been given the strides made by Europe and the rest of the world. But then came Shrek, which had such a huge impact that it seemed to consume DreamWorks for a long time. They got caught up in the Shrek franchise, and it seemed to be much about developing franchises since, throughout all the studios. So, when projects are brought forward, is that the primary focus now, to determine what has the most franchise potential? I think so, yes. They want franchises, so I think the corporate mentality is that the story is secondary to the franchising, and what the movie “says” is secondary. As a filmmaker, that’s disturbing to me because I also feel that I have a responsibility, since I’ve chosen to make family films as my career, to put responsible messages out there. I don’t want to be putting stuff out there that’s just to sell, but I want to tell a story that’s worth listening to, that you can learn something from, or that you’d enjoy and escape into that touches some quality in your life, as opposed to just selling you something. I understand that I’m not a businessperson; I’m a filmmaker. I’m not so naive as to think they have to ignore the business, but if they’re going to make a franchise, I feel it should be true to what the movie stands for and who the characters are. You have to be buoyed by the public reaction though, that people are rebelling against Merida being turned into the standard princess type. Yes, I am! It’s been overwhelming, I have to say, and in a really great way. I worked so hard to create this character to offer an alternative (to the standard “princess” characterization in animated movies). This is an alternative to little girls who strive to just be themselves. It’s hard to watch a corporation try to change that just for marketing’s sake. But it is really wonderful seeing that so many people feel the same way, that Merida has become a beloved character…so, on many levels, it’s been very…it’s really quite wonderful in that sense. This is something I’m trying to work through right now. I’m developing a project with DreamWorks and they seem to want what I have to offer, and I know a lot of the people there. They know me a little better. I’m not going in with a naive “rose-tinted glasses” attitude, that things are going to be too much different, but I’m hoping that whatever story ends up developing — if I create one or choose a project they have — I just hope I can convince them to stay true to the characters, and stay true to what this film is about in the marketing of it. For me, with Brave, people love the movie they went to see. It’s done very well as it is, so my question is, why change that? Why not just market it for what it is, and market the characters as who they are, because people do love them. So that will be my argument wherever I go and, you know, it’s Hollywood. It’s business. It’s not always the best situation for artists! (Laughs.) But we have to make a living too, so we do the best we can. Has this changed or altered your process, going forward? Will this event force you to hold your ideas closer to the vest than you would have before? It has changed my approach, and honestly, as I mentioned, I’ll be doing a project at DreamWorks and I will choose a project that still speaks to me, and that has a strong female protagonist. That is where I need to focus: on my storytelling right now. But especially in animation, we are so vulnerable in that we’re employees, so when we create an idea while we’re here at work, it is automatically owned by the company. You don’t have any say, really…at the end of the day, if they decide they want to do it differently. It has changed my approach, and I will hold my ideas much closer to the vest. I will try to ground (the ideas) in another medium most likely before I consider letting (the studios) take a look at it.